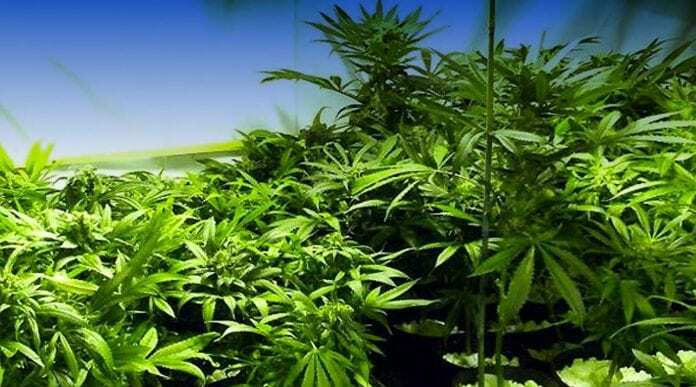 If you want to continue growing a strain that you enjoy, cloning is your best option. You could also continue the strain by breeding two plants to produce seeds. You won’t completely replicate the strain again using the seed method, however, unless the two parent plants are from the same IBL (inbred line). Even if the two plants are not IBLs, they should produce seeds that contain most of the parents’ features. If you want to create a plant with characteristics from two different strains, breeding the marijuana from seed is your only option. That is the subject of this chapter, which begins with an introduction to simple breeding procedures and then goes on to cover advanced techniques like breeding a true strain and backcrossing. How easy is it to make seeds? 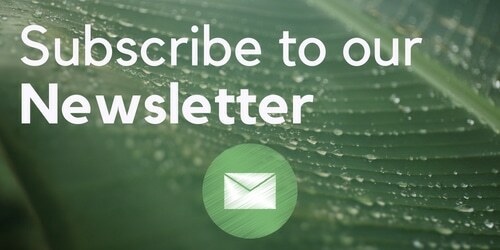 It’s easy if you have healthy plants and a stable growing environment. When your male plants burst their pollen sacks in your grow room they’ll pollinate the female flowers. You can also administer pollen directly to your females if you prefer. Pollen can be extracted from male flowers as soon as they open: you’ll see the male flower open out from its calyx. It is best to gather pollen after it falls from the pod onto the leaves. You can shake the pollen onto the female flowers to pollinate them or grow your males separately and store their pollen for future use. Film canisters are great for storing pollen. You can save pollen in a canister for the next harvest. Although it can be stored in the freezer for as long as 18 months, pollen is best used within six months of collection. Pollen has been known to keep for longer than 18 months, but is usually not viable past this time. If you have pollinated your plants, at the end of the flowering stage the bud will contain seeds. The seeds should be grey, tan or dark brown in colour. They may also be striped, banded or lined with different coloured markings. If they are pale cream or white in colour, then they are probably not viable and you have harvested them too early. You should wait until the end of flowering to harvest your seeds. Your seeds will be mixed in with the bud and it can take quite a bit of time to separate them from their sticky calyx pods. Do not squeeze the calyx directly because you can damage the seed inside. Just tease the seed out from the calyx with your fingers. If you do not want the bud you can brush a seeded flowering branch against some fabric or a sieve to release the seeds from their respective calyx pods. It is easier to remove seeds from dry, cured bud than from freshly harvested plants. If you plan to use the seeds in more than two years’ time, store them in an airtight container and place this in a freezer. If you plan to use the seeds within the next two years, storing them in a standard film canister or similar container will work well. Keep this canister away from heat and direct light and do not let it get damp or you risk spoiling your seeds. Containers placed in the freezer should not be opened until you are ready to use them. Allow the seeds to thaw at room temperature for at least 12 hours before use. Your approach to breeding will depend on what you ultimately hope to achieve. Do you want to create a new strain, create seeds that are similar to the parents, or cross two plants to create a simple hybrid strain? Say you purchased $120 worth of Silver Haze seeds and you want to make more seeds without any interference from another strain. That’s easy. Just make sure that the male and female plants you breed with are from the same strain batch. In this instance the same strain batch would be Silver Haze from the same breeder. If you use Silver Haze from different breeders then the offspring may express a great deal of variation.This is because most breeders create their own versions of a popular strain. Their variety may have dissimilar characteristics from those of other breeders who have bred the same strain. If you only have Silver Haze from the same breeder in your grow room, then all you need are a group of males and a group of females. Let the males pollinate the females and you will get more Silver Haze seeds, but you will lose some of the features of the original parent plants unless the strain you have is an IBL or from a very stable inbred pure line. uniform plants or even an IBL, then you should start with a basic knowledge of plant genetics. Genetics can be somewhat difficult to understand at first so we’ll start by explaining a few rudimentary concepts and the basic terminology. The explanations for the words below can be treated as a glossary for your benefit. Genes are the units of heredity transmitted from parent to offspring, usually as part of a chromosome. Genes usually control or determine a single characteristic in the offspring. There are genes responsible for each feature of your plant to be inherited, including leaf colour, stem structure, texture, smell, potency, etc. All of life is made up of a pattern of genes. You can think of this pattern as being similar to the two sides of a zipper. One side is inherited from the mother and the other from the father. Each gene occupies a specific locus, or particular space on the chain, and controls information about the eventual characteristics of the plant. So each gene locus contains two genes, one from the mother and one from the father.These gene pairs are usually denoted by a pair of letters, such as BB, Bb, Pp, pp, etc. Capital letters refer to dominant genes while lowercase letters refer to recessive genes. By way of example, B can represent Big Bud while b can represent small bud. Any letter can be assigned to any trait or gene pair when you are working out your own breeding program. A threadlike structure of nucleic acids and proteins in the cell nuclei of higher organisms that carries a set of linked genes, usually paired. A position on a chromosome where a particular gene pair is located. Alleles are any of a number of alternative forms of one gene. For example the gene for purple bud colour may have two forms, or alleles, one for purple and one for dark red. Having identical alleles at one or more genetic loci, which is not a heterozygote and breeds true. Your plant is said to be homozygous for one feature when it carries the same gene twice in the responsible gene pair, which means both genes of the gene pair are identical. Having different alleles at one or more genetic loci.Your plant is said to be heterozygous for one feature when the genes of the responsible gene pair are unequal, or dissimilar. The phenotype is the summary of all of the features you can detect or recognize on the outside of your plant, including colour, smell and taste. The genotype is the genetic constitution of your plant, as distinguished from the phenotype. The genotype characterizes how your plant looks from the inside. It is the summary of all the genetic information that your plant carries and passes on to its offspring. Dominant is used to describe a gene or allele that is expressed even when inherited from only one parent. It is also used to describe a hereditary trait controlled by a gene and appearing in an individual to the exclusion of its counterpart, when alleles for both are present. Only one dominant allele in the gene pair must be present to become the expressed genotype and eventually the expressed phenotype of your plant. Recessive describes a gene, allele or hereditary trait perceptibly expressed only in homozygotes, being masked in heterozygotes by a dominant allele or trait. A gene is called recessive when its effect cannot be seen in the phenotype of your plant when only one allele is present. The same allele must be present twice in the gene pair in order for you to see it expressed in the phenotype of your plant. Assume that the dominant ‘B’ allele carries the hereditary trait for Big Bud, while the recessive ‘b’ allele carries the hereditary trait for small bud. Since B is dominant, a plant with a Bb genotype will always produce Big Bud.The B is dominant over the b. In order for a recessive gene to be displayed in the phenotype, both genes in the gene pair must be recessive. So a plant with the BB or Bb gene will always produce Big Bud. Only a plant with the bb gene will produce small bud. Here are some important tips for dealing with the seeds themselves. The single best way to remove seeds from the bud is to harvest, manicure and cure your bud as normal. It is far easier to remove seeds from cured bud than it is to remove them from wet flowers. When the bud is dry you can easily tap the seeds from it. You may also find that seeds have already come loose and are in the bottom of the canning jar. Seeds also tend to mature during this process. Even though the plant has been harvested, the seeds many continue to develop during curing. Make sure to label your canning jars so that you know what the seeds are. If you are having trouble removing seeds from the bud then you may wish to screen the bud. Screening for seeds has two advantages. 1. You do not destroy the bud as you would if you used your fingers to get at the seeds. 2. It is gentler on the seeds. Professional breeding outfits use automatic screening machines to produce seeds. These machines actually sieve the seeds from the bud. Seeds should be stored as I previously instructed. Most viable seeds are dark in colour, feel firm and have a rough feeling. Most nonviable seeds appear pale white or a light green although some strains do create viable seeds that look this way.The only surefire way to know if your produce is viable is to test your seeds. You should always test a few seeds from EACH female to ensure that your produce is viable. Nonviable seeds should be discarded, never be sold or distributed. Maintain high standards and only distribute tested viable seeds. Packaging your seeds in a breeder’s pack is always a good idea. 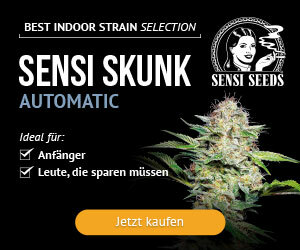 It helps to avoid unscrupulous breeders ripping off your strains. Most seed packs are roughly 3.5” by 2” in size and should contain a placeholder card with the strain’s name, description and your logo. Shop around from official breeders to see what they use. Do not use bags that have a zip lock because these are easy to open. Instead you will have to heat seal your bags. breeder looking to distribute his seeds. If you can follow these packaging standards then it is harder for a fraudulent breeder to mimic your packaging. It is still not impossible for them to do it but it makes the job a lot harder for them than if your packaging was just a small zip lock bag with the name of the strain in black ballpoint on the front. breeders are now using 10 seeds as the norm. Batches of seeds as large as 1000 or more should not be sent through the post if you think that there is a possibility that the seeds will not make it to their destination. Most seed banks have collectors who are more than willing to travel to pick up large amounts of seeds. The best way to send bulk seeds in the post is by boxing the seed packs together inside a videocassette box. You may have to send several boxes in order to send large amounts. The cassettes will be hard enough to ensure that the seeds get through undamaged. There are many other items you can use to send seed bulk seed orders and I am sure that by using a little ingenuity you can find a way like the tried and trusted method below. If you are sending only a few seed packets to a client then you should use a CD or DVD case. Make sure that the case is not clear and has some cards on the front and back with a CD/DVD holder that is dark and not see-through. Unclip this holder from the case and place a white card on the back of the hole so that it is no longer see-through. Tape the seed packs onto the back of this holder and clip it back into the case again. Write some name down on the CD/DVD case so that it looks official. You may also want to heat seal the CD/DVD pack. You can also buy packaging boxes for CDs and DVDs to send the case in. These packages not only increase stealth but also prevent damage. Never use your correct return address when sending the package. 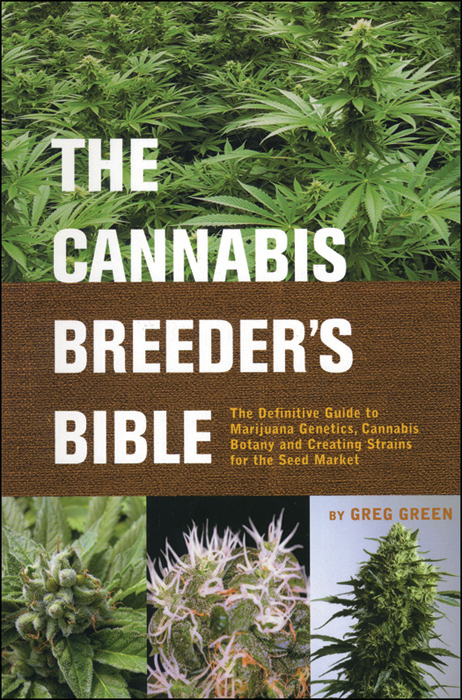 This has been excerpted from Greg Green’s book, The Cannabis Breeder’s Bible published by Green Candy Press and available through Amazon and all good bookstores and headshops.